The Sony HuaShan, also known as the C5303, has been leaked on multiple occasions already. We know what it will look like and we know what to expect as far as hardware specs go. But its name? Well, that's one of the details we usually learn once a rumored handset is already announced, but this time, the rumor mill has thrown that puzzle piece on the table as well. And so, the Sony HuaShan is now expected to launch as the Sony Xperia SP. The evidence comes from Postel – Indonesia's analogue of the FCC, which has certified the handset already. Why that choice of letters? We have no clue, but the company's smartphone naming scheme doesn't make much sense anyway. In addition to the rumored Sony Xperia SP, Postel approved one more yet-to-be-announced Android device. 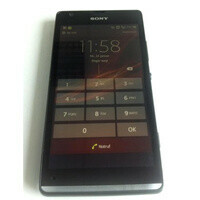 The Sony Xperia L, as it will probably be called, is the C210X smartphone that we've been hearing about lately. It just hasn't been treated with that much attention due to its entry-level nature. The smartphone is expected to offer a 480 by 854 pixel display, a low-tier Snapdragon S4 processor. If the Sony Xperia SP and Xperia L are bound to ever hit the market, an official announcement in time for MWC seems likely. That's also when we hope to learn more details about them, such as pricing and availability. The name Xperia SP according to XperiaBlog, is based on the transparent antenna of the Xperia S and P, plus the Xperia P's aluminum body. announcing new phones is one issue, releasing them on time is another. Sony is doing well in the first part but unfortunately it is disappointing on the second part. that's why Sony is loosing a great share of market. let the complaining about sony's xperia names begin in 3, 2, 1... anyway, glad that sony will stop making low-end phones, it's just not them.